Going on an Egg Hunt - Gypsy Moth Style! The gypsy moth (Lymantria dispar) is a non-native invasive species. This insect is currently in the egg mass stage, and will be in this stage until next spring when the caterpillars will hatch and begin feeding. Egg masses can help predict what population levels could be for the upcoming season. Now is the time to look for egg masses. Egg masses can be found almost anywhere. While we tend to look on trees, they can be found on homes, sheds, trailers, dog houses, bird houses, on firewood, on fences, yard art and signs. Egg masses can also be hidden under loose bark or in tree wounds. 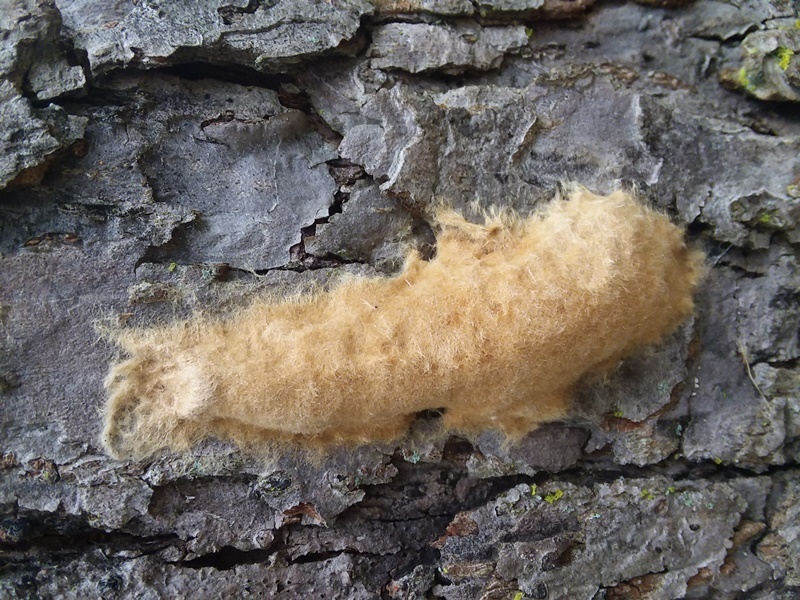 I once hit the jackpot of gypsy moth egg masses when I removed a piece of garden art that was hanging outdoors. You have to be a bit of a detective to find them all! The caterpillar is the devastating stage as it feeds on over 300 different trees and shrubs, but is especially fond of oaks. Later instars seem to like spruce and can quickly kill this evergreen in a single season. Proposed block must be located in a county that has been designated quarantine for gypsy moth by ODA. To be considered for the 2018 season, applications must be completed and turned into ODA by September 1, 2017. In Northwest Ohio, there seems to be increasing numbers in particular areas. On Tuesday, August 15 there is an educational program scheduled in Swanton, Ohio. Doors will open at 6:30 pm, and the program will begin at 7:00 pm. The program should last about 60 minutes, but there will be time for questions from the residents. The program will be hosted by the Swanton Tree Commission. For additional information about the program, contact Amy Stone at stone.91@osu.edu or call 419-578-6783.